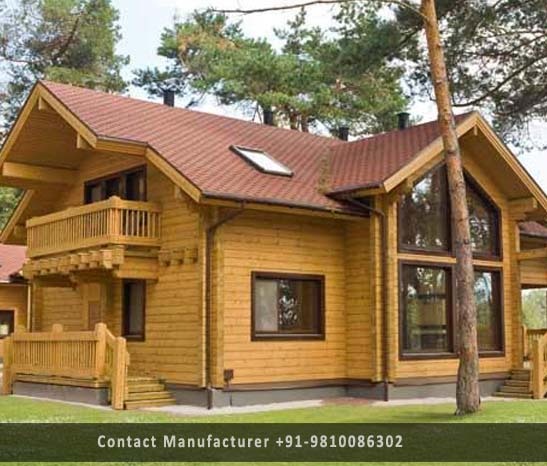 Prefabricated Wooden Villa Manufacturer in Delhi, Prefabricated Wooden Villa Supplier in Delhi, Prefabricated Wooden Villa in Delhi. Prefabricated Wooden Villa Manufacturer in Delhi, Prefabricated Wooden Villa Suppliers in Delhi, and Prefabricated Wooden Villa in Delhi. Wooden villas have got a new dimension with us, the Wooden Villas in Delhi. Unlike the regular villas that you perhaps have had experiences of putting up at the tourist destinations in some parts of the world, you will be glad to know that we proliferate your experience and aspirations into reality when you choose to buy the luxury wooden villa from us in any part of Delhi or in the hill station. You know what; luxury isn't the word that connotes the same meaning to everybody. Fact is that we are the only company who sold the luxury wooden villas in Delhi which is a best befitting product for your personal taste and preference. For instance, some online ventures are selling stuff like shoes, pants, inner wears and at the same time, selling the wooden villas in Delhi. Can you expect anything really good and appreciable from them? Contact DHT today for a FREE analysis for your requirement for the Prefabricated luxury & Regular wooden villas in Delhi. Riding on unfathomable volumes of industrial expertise, we are presenting an exclusive range of Prefabricated Wooden Villa. The offered prefab villas are manufactured by our experienced designer utilizing optimum quality raw material and the latest technology. This Prefabricated Wooden Villa is highly appreciated and demanded by our clients for their beautiful look, distinct locations, plot sizes and are offered with absolute power backup and water supply.